Why Steve Cardownie is quite optimistic to expect cuts to education in Edinburgh to be ruled out. As education takes up around 40% of the Council’s budget, it can’t avoid the cuts unless they are amplified elsewhere. Steve Cardownie is quite optimistic to expect cuts to education in Edinburgh to be ruled out (Column, 03/10/18). When the Evening News first published details of the “drastic cuts” facing Edinburgh schools, SNP Council Leader Adam McVey did rush on to social media to make a vague claim that the report in “no way reflects” his plans to implement the £106m of cuts facing Edinburgh. He then declined to say much more on the subject. Indeed, when pushed on the issue by the Evening News’s Euan McGory all he would say about the cuts he has planned for education was “you’re asking me to confirm each budget line but I don’t think that’s helpful at this stage”. The cat was, however, let out the bag at the Finance and Resources Committee the next day. The SNP Finance Convener, Alasdair Rankin, point blank refused to rule out any of the education cuts reported by the Evening News and was even unwilling to say any were “ill-informed”. Worse than that, he said he would not be “entirely ruling them” out and the Council “inevitably faces hard choices”. Councillors Rankin and McVey know that as education takes up around 40% of the Council’s budget, it can’t avoid the cuts unless they are amplified elsewhere. As stark as the funding crisis is, we should not accept that the cuts are inevitable. 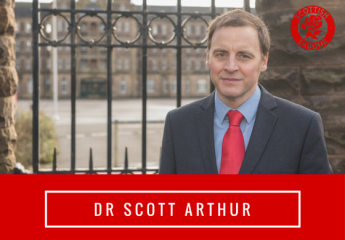 It’s time that the Scottish Government’s attacks on council funding ended – that’s the only way to protect education in Edinburgh. Rather than making vague assertions on social media, our capital’s Councillors should all be standing up for Edinburgh.